A soprano who says Llangollen's Voice of the Future competition catapulted her career to a new level is urging singers to enter the same competition. 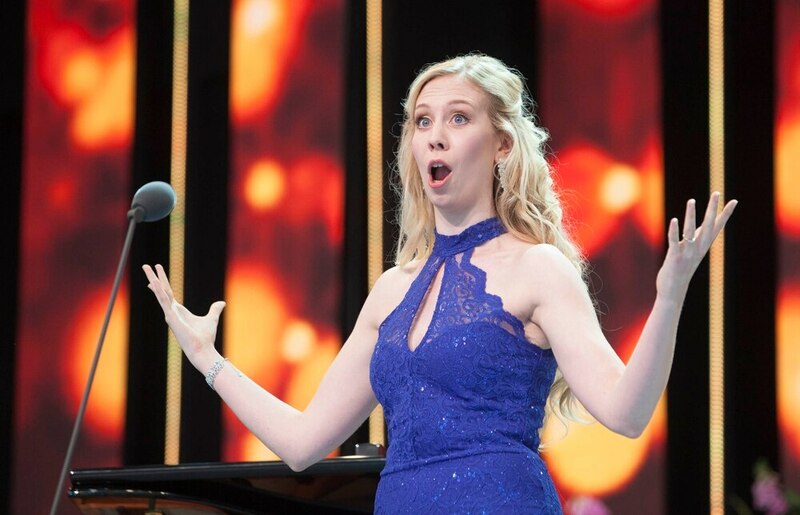 Charlotte Hoather, 24, says winning the prestigious Pendine International Voice of the Future competition at the Llangollen International Musical Eisteddfod last year led to roles in operas across Europe. Organisers say entries are already flooding in for the prestigious competition this year which has a first prize of £5,000, along with a £2,000 cheque for the runner up. It is part of the Eisteddfod which each year welcomes around 4,000 international performers and around 50,000 visitors to the week-long festival of music and dance. Care organisation, Pendine Park, is contributing £5,000 to the prize fund and a beautiful silver salver via the Pendine Arts and Community Trust, with the balance coming from Sir Bryn’s Terfel’s foundation and Llangollen Eisteddfod. The deadline for entries is March 1. Preliminary rounds will be held at Llangollen Town Hall on July 2 with the semi-final on the pavilion stage the following day with two finalists going head to head during the live televised concert in the evening. Charlotte, from Winsford in Cheshire, who trained at the Royal College of Music, said: “The competition gave me a massive boost. It’s been huge for my confidence and helped me push the boundaries of where I could go and what I can do. And the prize money gave me such a massive opportunity to further my career. “I’d encourage any young singer to give it a go. Pendine Park proprietors Mario Kreft MBE and his wife, Gill say their aim in supporting the competition in conjunction with the Sir Bryn Terfel Foundation is to provide a springboard for brilliant young singers from around the world to achieve their dreams of establishing a career on the global stage.